Rocket Matter Knowledge Base TagsHow to add/removed/rename tags? Rocket Matter’s robust tagging feature lets you get creative and stay organized when it comes to your information. 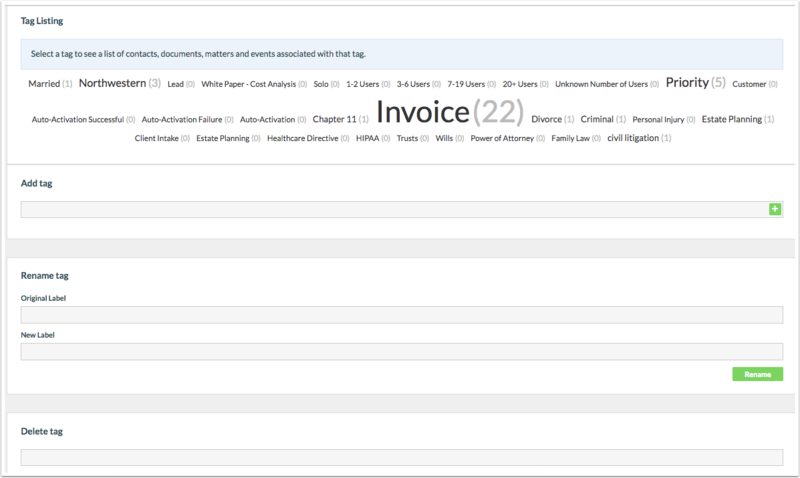 Managing your tags periodically can help keep your firm’s data organized and readily accessible.You can manage your firm’s tags from the admin section at the top of your user dashboard, or through the Quick Admin menu at the bottom right-hand side of that screen. 1. 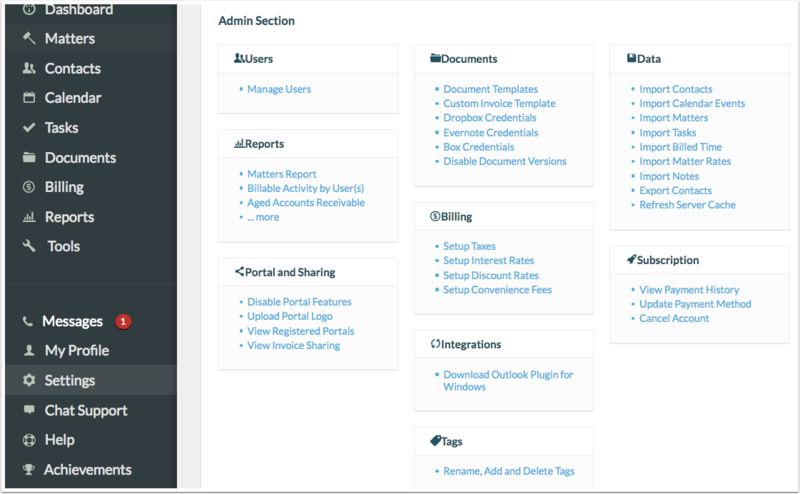 Click on Admin from your user dashboard, then Rename, Add and Delete Tags. To save yourself a step, just click on Manage Tags, in your Quick Admin menu at the bottom of the screen. This will bring you directly to your tag manager. 2. To view everything associated with a particular tag, just click on the name and applicable contacts, matters, events and documents will be displayed. 3. To rename a tag, simply begin typing the name into the Original Label field which features global search technology. Enter your new name for that tag and hit Rename. 4. To add a new tag, simply enter the name into the field and hit the green plus to add. 5. Finally, and probably most importantly, when it comes time to delete a tag altogether, begin by typing in the name of the tag. Global search will autopopulate again. Hit the enter button once the name is complete. This will set and confirm the tag for deletion. Hit Delete and the tag will be purged from the system. Prev: What is a tag? Next: What is a task used for?